It is vital that the data and mapping of our region’s ecosystems is comprehensive, up-to-date and reliable, because all statutory and non-statutory biodiversity planning and management decisions are based on this information. If the data is outdated, unreliable, inaccurate or doesn’t even exist, this can lead to uninformed decisions that have serious consequences for our region’s biodiversity. As an example, Essential Habitat mapping for EVNT species in our region is either outdated or doesn’t include all listed species, resulting in loss of habitat for listed species through region-wide incremental clearing. Furthermore, we must provide opportunities for information sharing between ‘science’ and the community on our region’s significant biodiversity, the significant threats and the opportunities to increase the community’s capacity to participate in managing and protecting it for future generations. 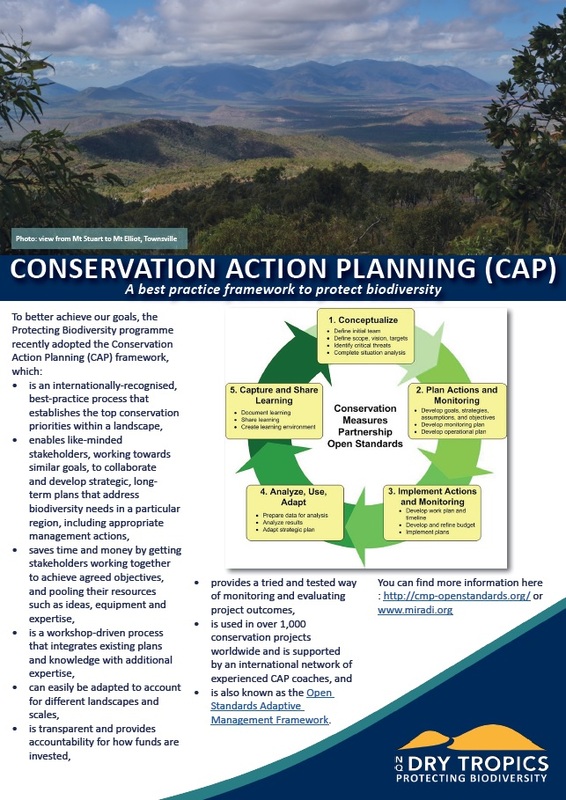 implementing the strategies, monitoring the outcomes and using that information to adapt and learn throughout the life of the project (The Nature Conservancy, 2016). ensure appropriate consideration by state and local governments when developing strategic plans for the community and regional economy, and assessing development applications.